There is no epilogue to a spiritual life. Upon our journey, many have touched us and we have touched many others, which has created spiritual motion.To believe that we simply end our existence at the time we part from earth at death would be the pretense we are capable of stopping motion, which is impossible under any spectrum. We are all spirits living the human experience. 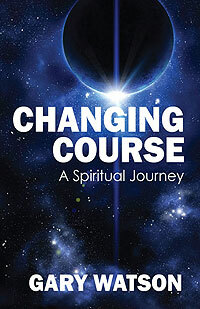 In the late nineteen eighties, Gary Watson began a spiritual journey that would become a complete reconstruction of his life. In his very simple manner, he shares with us the obstacles that stand in our way of leading fruitful, happy, and productive lifestyles. He brings to us a message that we come to understand, we cannot “think our way into spiritual living” but rather we “live ourselves into spiritual thinking.” He paints for us with analogies of how we truly blend into the universe as spirits living the human experience. He shares with us the beauty and simplicity of living spiritually from his own experiences in a tone of friendship and care of others in a very intimate manner that touches us all on a personal level. He shows us directly, what we must give up in our old life in order for a new life to be born. He also helps us to see the discord and danger of living in self-will, and the comfort and harmony of living in God’s will.